When simple faith is nurtured by extravagant grace, we become builders of men and lovers of the soul. And to love one another, deeply from our souls feeds the pieces of our hearts that have been reconstructed by the very grace that has been given in heaps by the One who bled love to bring us close. In the fullness that is Christ, we have been given grace, heaped upon grace. To think of grace as a fountain of blessings, one that is poured liberally over those who seek redemption and reconciliation in the blood of the Son, completely redefines what grace looks like. 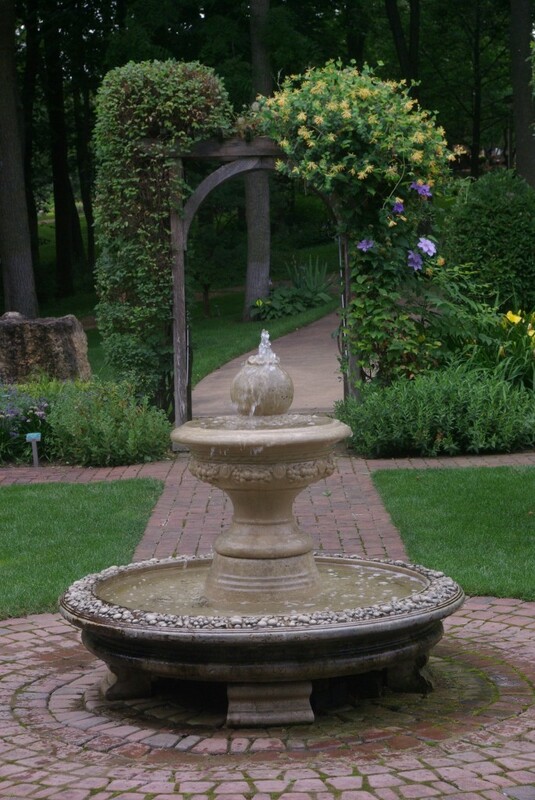 This fountain flows without hindrance. When I put my hand in to take a drink, its capacity to flow is not changed, instead it just moves around me, essentially making me part of it. 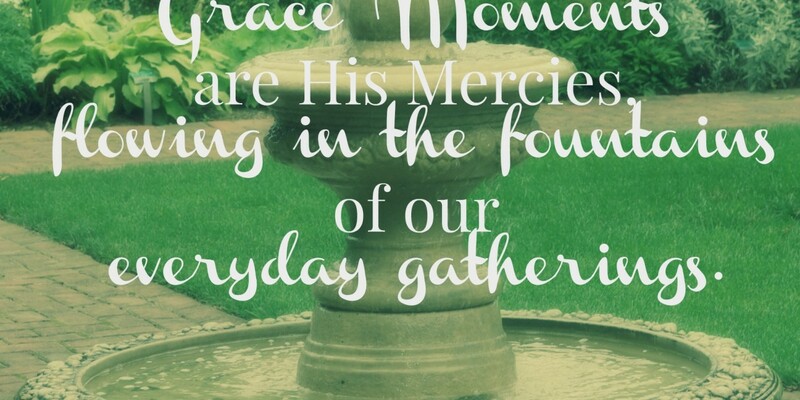 “Grace is the fountain of all blessings… Mercy and Peace spring from it.” – Matthew Henry. Grace is His work; it is the doing of God…meeting the broken needing hope… and peace is the effect of that union. And I wonder, friends, if we see grace as a fountain that we can stand beneath, and peace and mercy as the effect of the anointed baptism of hope, then it should be a catalyst of change in our lives and others. Fellowship has a way of being a fountain of blessings, a place where grace is meant to reside. There is such potential when the children of God gather together. 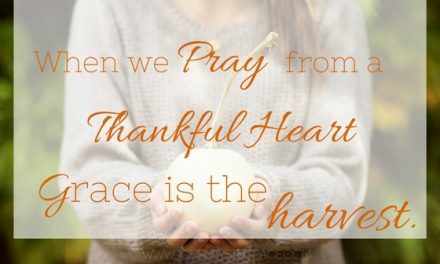 Grace moments seem to multiply when we choose to spill out grace into people, yet this is also a place we can lose the ability to collect grace moments effectively. What does it mean to ponder grace heaped upon grace in our lives? And what does it look like? Is it looking past the truth so we can just love others and make people feel good about themselves? Is it buying approval by giving of things and time to gain something else? Is it pursuing treasure and praise because we want to be known for our doing? Matthew Henry says, “All Grace is from Christ. He purchased it. He bestows it.” Grace is His favor and we don’t choose who earns it, but we can choose to be those who give it. We can’t define grace apart from Christ, and without the message of truth, the gospel of hope and the finality of His love, the message of grace would be empty and void. I have spent years looking and longing to be surrounded by women of faith and grace, to find myself connected by the kindred tie that is created by His filling of our hearts. It is a beautiful thing to enjoy that kind of fellowship freely. However, without His grace, that three-stranded chord quickly unties itself; we lose sight of the purpose of this call to congregate together and simply bind hands and hearts. Because where two or more are gathered, He is there. Because where two or more agree concerning His Will, it is done. Because whatever is bound on earth concerning heavenly things, is also bound in heaven. Friendship requires grace to procure the unity that relates us to Christ, because when grace congregates there is unity. Our job should be to bear burdens, as we borrow time and place to feast on grace, so that our daily sorrows are drowned in the hope and mercy that flow from His fountain of Love. 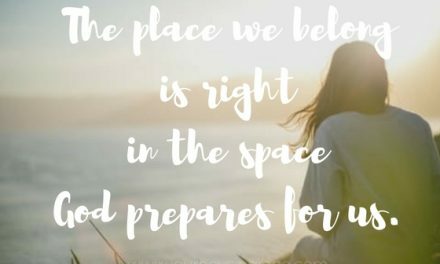 Sometimes we don’t have the safe place to look for grace. Sometimes we don’t know where to begin to search because we have been too long protecting our hearts from the ‘what ifs’ and the ‘not good enough’s’. And I want to encourage you to open up the doors of grace today, and begin looking for the moments that will shine a light into someone else. Take a step of faith and extend invitations, make phone calls, write letters, send flowers, wash dishes, cook meals, etc. It is feels risky at first, but the blessings outweigh the inconveniences. The point is to literally step out of your comfort zone and get soaking wet in the fountain of His grace so that you can fill your cup and pour it out.. heap it upon one another. As we purpose to do those things that open doors of peace to one another, we will learn the art of suffering together in order to find grace moments. We will receive grace, so rich and invaluable, that recognizing the good work of God in us becomes the good will of God through us towards others. Grace moments are is what Heinrich Meyer refers to as ‘grace interchanging with grace’. When we receive grace, we have, as the Pulpit Commentary denotes, “a higher capacity of blessedness“, whereby we no longer require status or stature to see the value of hope in every situation. We no longer consider the lack of mercy as an option. We no longer see disagreements as divisive. We no longer choose to hide from the outpouring of possibility that grace provides. When grace is interchanged with grace we become part of the flowing fountain dispensing grace in abundance because the source is never ending. Grace doesn’t look past sin but rather fills us with love so that we can see the person instead of the action. We can separate one from the other and become gospel brokers instead of word dividers. Grace doesn’t excuse behavior that separates us from Godliness, but rather leads us to look at Truth in light of His love. Grace lends mercy, so that His Truth can shed light and bring true repentance into every heart. 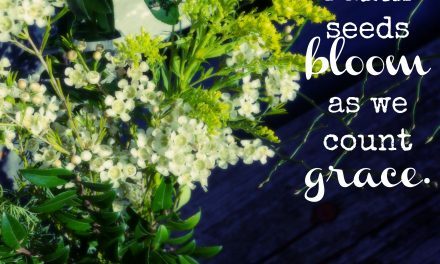 Grace is His gift… a heaping filling and over-flowing gift for us all. When we mess up and make assumptions where our discernment is lacking, grace provides the chance to speak confession and receive forgiveness. When we hide bitterness and hold onto judgment, grace softens our hearts to pave the road to reconciliation. When we let jealousy destroy and envy steal goodness, grace restores opportunity to rebuild and renew. When we let our faith falter because the storms have been strong, grace lifts us out of the sinking boat and quiets our restless hearts with expectant hope. 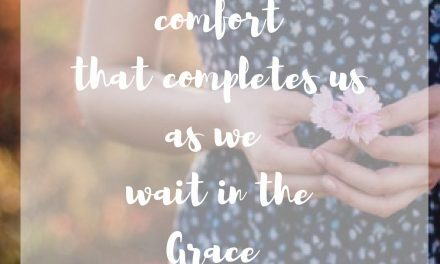 When we look first to ourselves, instead of His Word, grace invites us to come again and lay our weary worried self before the throne of grace to receive mercy. 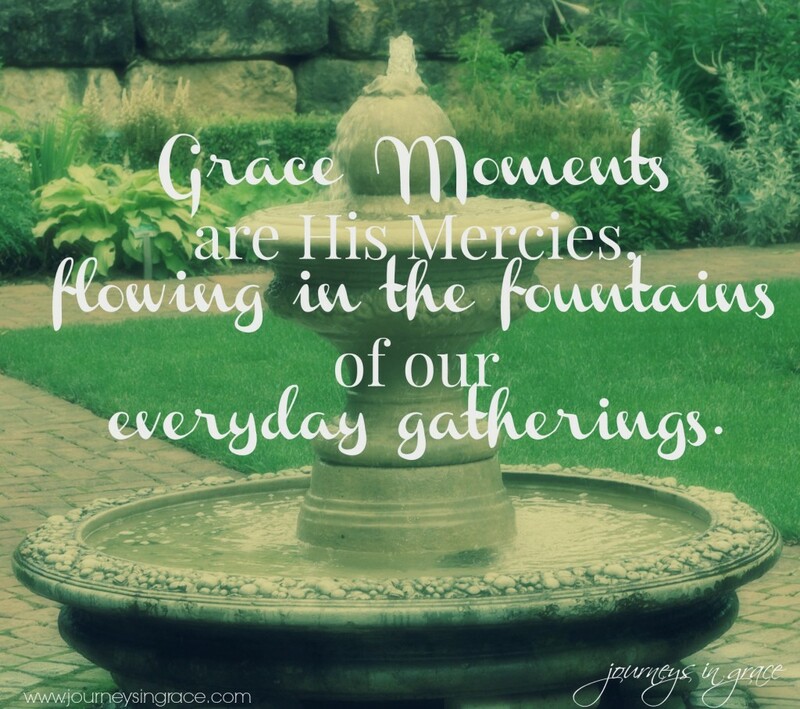 What are some grace moments you have seen in your lives today? Praying that you would be encouraged to encourage others and that you would begin seeing grace spill like a fountain into your everyday gatherings. Writing Prompt: What do you think it would look like if we chose to heap grace upon others? Share the grace moments which have encouraged you in the comments section or on your blog with the writing prompt. Link up your inspirational and encouraging posts below. Grace is a beautiful gift that God gives us just because! I am in awe of this precious gift and sharing it with others takes the overflow that we have in abundance. Your new sight is beautiful Dawn! Your words and photos capture what grace moments are all about. Thank you for sharing this space with us. Much love! This is beautiful, Dawn! I especially love this: “Grace moments seem to multiply when we choose to spill out grace into people …” YES, friend. And I love your heart spilling over to create this link up. Well done, friend. I hope it goes well and encourages so many people. Love your words here, Dawn! For some time now, I’ve been praying and asking God to help me have “eyes of grace” to see where I can be His hands and feet in practical ways, rather than being inward focused or even judgmental instead. Hello, Dawn I am happy you have started your linkup. I am praying it is a blessing to this new community. God bless, Dawn. PS Sorry for joint late? nobody is as they should be. It is the message of grace…” Brennan Manning, one of my favorite grace writers. His words came to mind as I was reading your post. Dear Lord, may we not only accept your free gift of grace, but lavishly give it to others as well. Hi Dawn, I found out about your linkup from a friend and I’m happy I stopped by. Can’t wait to see where God will lead you. I pray that this will be a place of grace and blessings!